Yesterday, Sister Mary Murderous shared terrific book covers in Cover Me. Today, it's Wrap Me or Pack Me, books for gifts or taking along to read while on holiday. I'm not going to ask if your shopping is done. Never fear, I know some people who haven't yet started. If you're one of these intrepid folks, fuel up with some hot coffee or tea and lemon bliss cake and then get cracking! Historical fiction fans: The love of learning; the thinkers, explorers, and scientists of the 1800s; and a determined woman who comes into her own are the joys of Elizabeth Gilbert's 2013 book, The Signature of All Things (Viking, 2013). Alma, the brilliant daughter of Henry Whittaker, an Englishman who rose from poverty to become the richest man in Philadelphia, was born in 1800. 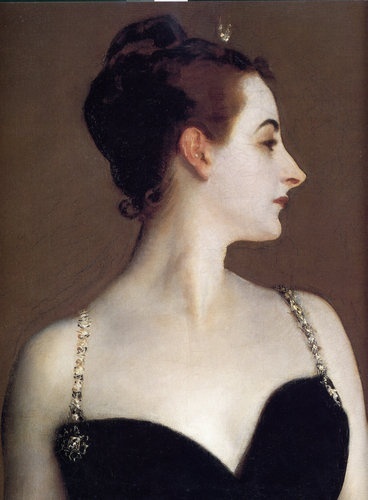 In middle-age, this autodidact falls in love with orchid illustrator Ambrose Pike, who introduces her to another world. 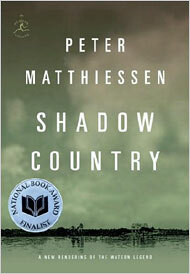 For an entirely different reading experience, Peter Matthiessen's gripping masterpiece, Shadow Country, a re-working of his classic trilogy about the notorious Florida Everglades outlaw E. J. Watson. This 900-page gorilla is a Great American Novel and not to be missed. 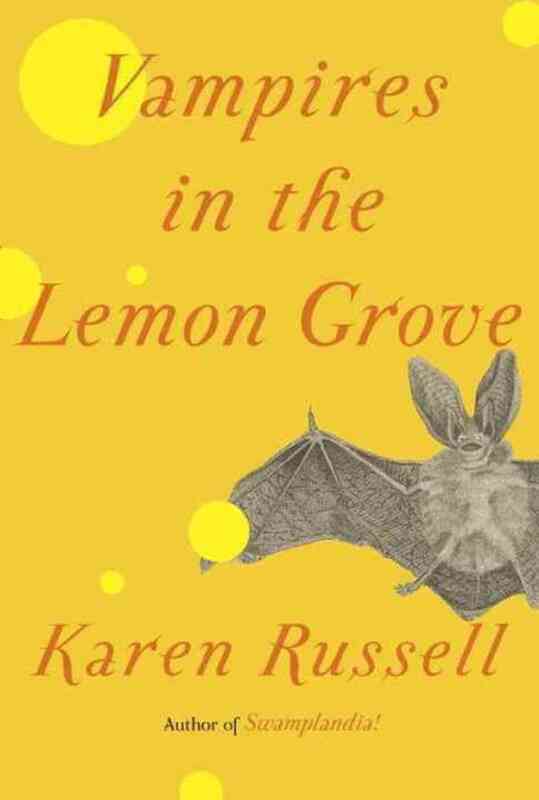 Someone who likes to study human nature through the fantastical: Karen Russell follows up her 2012 Pulitzer-nominated Swamplandia!, a highly entertaining—and very weird—coming-of-age/quest novel, with a collection of eight stories, Vampires in the Lemon Grove (Knopf, 2013). The title story features a vampire couple who have eternity to struggle with their marital issues. In "Reeling for the Empire," young Japanese women are coerced into factory labor and become human silkworms. A baffled Rutherford B. Hayes finds himself and other deceased U.S. Presidents have been turned into horses in "The Barn at the End of Our Term." 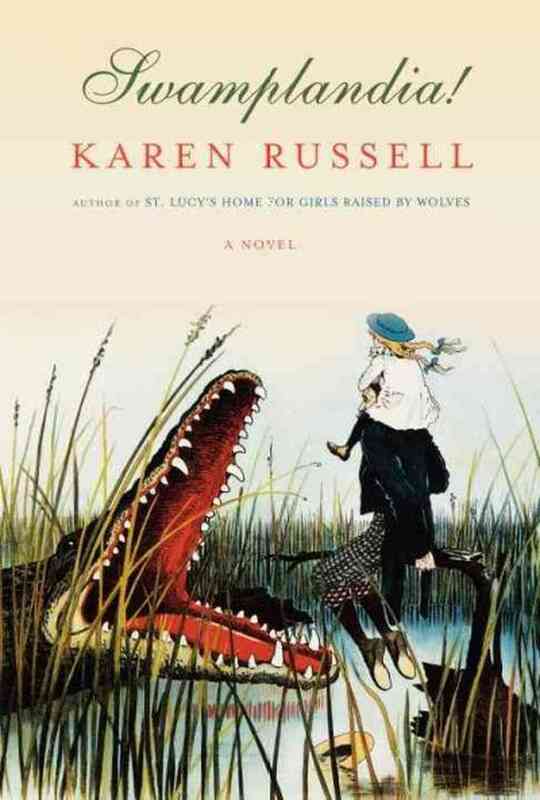 Russell's stories are outlandish, but she writes so gorgeously and tenderly of her characters and their bizarre predicaments that they almost seem real. This stunning book was one of my favorites this year. A reader who wants to be an active participant in a story and loves unusual things: Yesterday, Sister Mary wondered about J. J. Abrams and Doug Dorst's S. (Mulholland, 2013). Take what looks like an old library book out of the slipcover, and it's V. M. Straka's 1949 book, Ship of Theseus, stuffed with almost two dozen pieces of paper—postcards, photos, newspaper clippings, a napkin with jottings. You'll find a novel within a novel: one in the old book, in which S., who's lost his memory and sense of identity, is on a mysterious ship going who knows where, when; and the other in the correspondence between undergrad Jen, who works at the library, and grad student Eric, in the form of copious (and I mean copious) multi-colored margin notes on almost every yellowed page of the old novel. They, and you, the reader, try to figure out what the heck is going on in the Ship of Theseus, which may not be just an old library book. S. is a unique treat for the mystery lover. 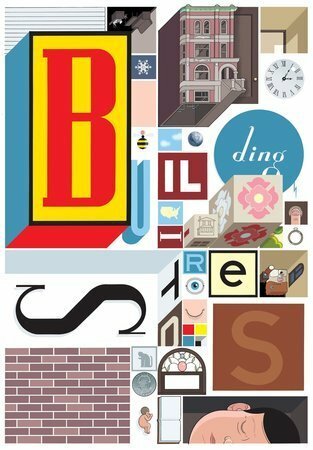 Chris Ware's Building Stories (Pantheon Books, 2012) is a graphic novel whose fourteen "literary elements" come in a box the size that holds a large board game. Inside are the tools you need (a large game board, an oversized newspaper, little pamphlets with microscopic print, etc.) to create a do-it-youself graphic narrative about the residents of a Chicago apartment building. These residents include an old landlady, an art student, a couple who don't get along, a bee. Needless to say, it's not for everyone, but on a rainy weekend, someone (or two) will enjoy clearing the table, pouring a stiff one, and getting creative with this. Fans of time travel: Private William Mandella has been drafted into an elite armed force and sent through time and space to fight against Earth's alien enemy in a war that lasts a thousand years. In the same time, Mandella ages months, the Earth ages centuries; this complicates Mandella's return home. 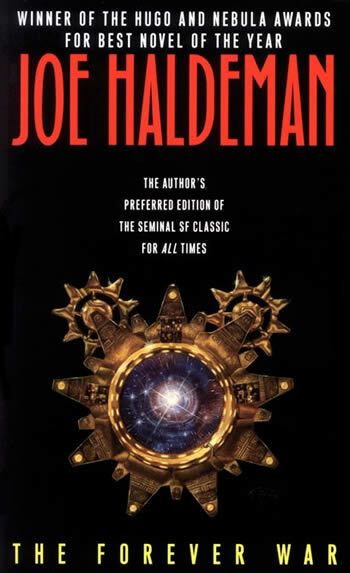 Joe Haldeman's The Forever War is a multiple award-winning novel—a classic—and you don't need to be a sci fi fan to enjoy it. You don't need to be a baseball fan to enjoy the time travel classic, If I Never Get Back, by Darryl Brock, although fans of the Great American Game will like learning about baseball's old rules. San Francisco reporter Sam Fowler is an alcoholic who's on the verge of divorce, and he's just buried his father when he steps off his train, where it's 1869. Sam's life in the 20th century was no great shakes, and the chance to join the Cincinnati Red Stockings baseball team, meet some famous figures of the day, and fall in love is an improvement for him—and a charming book for us. Those whose interests align with those of the characters: You must be interested in bees (I'm assuming not everyone is) to enjoy Peggy Hesketh's inventive debut about old secrets, Telling the Bees (G. P. Putnam's Sons, 2013), because you're given a bee-dazzling amount of information about them. Third-generation beekeeper and octogenarian bachelor Albert Honig has lived in his southern California home forever. Then, the Bee Ladies next door, reclusive sisters Hilda and Claire Straussman, are murdered in an apparent botched robbery. 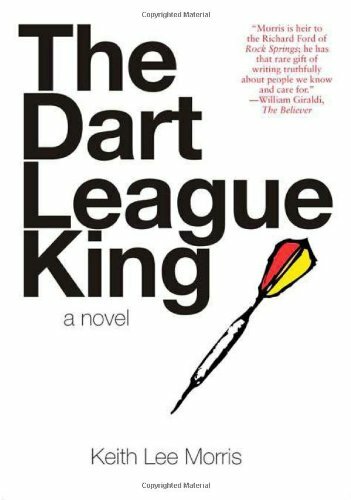 If one day in small-town Garnet Lake, Idaho, sounds like an intriguing setting, Keith Lee Morris's The Dart League King is a good bet. Five people take turns narrating: Russell Harmon, whose life revolves around the dart league and may end at the championship game, where ugly-tempered drug dealer Vince Thompson may show up, intent on claiming the money Russell owes him for cocaine. Others are Brice Habersham, a former pro darts player and current local gas-station owner; Tristan Mackey, Russell's team mate, who appears with Russell's old love interest, Kelly Ashton, who feels suffocated by life in Garnet Lake and would give anything to escape. People with a wicked sense of humor: Interested in how random events shape our lives? Dr. Owen Lerner, a pediatric psychiatrist, feeds coins into a parking meter and is struck by lightning. His consequent obsession with barbequing (could anything else be so apropo?) 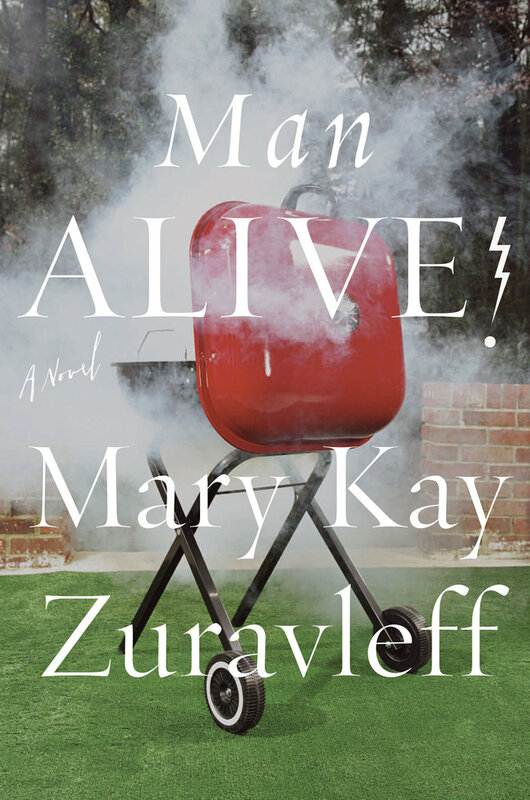 shoves the rest of his family off the rails in Mary Kay Zuravleff's Man Alive! (Farrar, Straus & Giroux, 2013). Occasionally, I felt like grabbing Owen by the shoulders and shaking him, but you may have more patience. Joyce Carol Oates is a sure thing for grotesquely comic, literary Gothic tales. 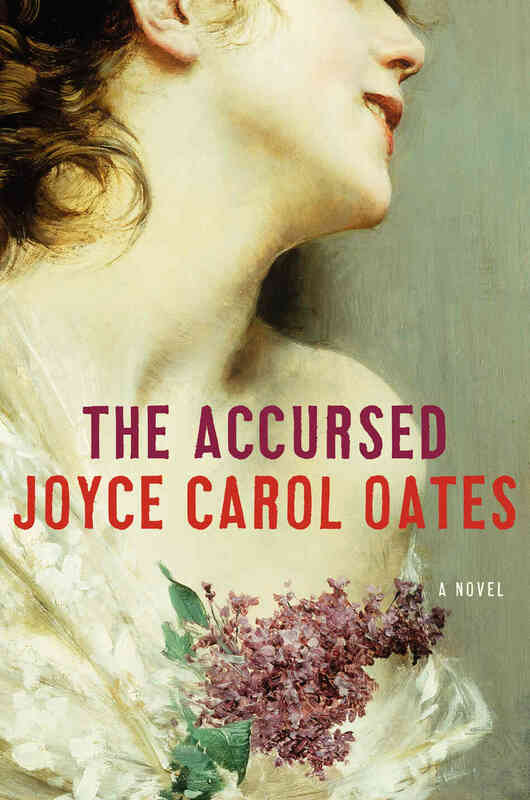 Her The Accursed (Ecco, 2013) is M. W. van Dyck II's account of the so-called Crosswicks Curse of 1905 and 1906 that terrorized the college town of Princeton, New Jersey. At 670 pages, it's a tad too long, but, hey, it's Joyce Carol Oates, and that means a mesmerizing read. Lovers of great lit and graphic art: Editor Russ Kick's The Graphic Canon: The World's Great Literature as Comics and Visuals (Seven Stories Press, 2012) involved more than 130 artists' renderings of 180 works of literature. The result is 1,600 pages in three volumes that can be purchased singly or in a boxed set. Volume 1 covers The Epic of Gilgamesh; to Shakespeare; to Dangerous Liaisons, the 1782 French novel by Pierre Choderlos de Laclos. Volume 2 continues with Samuel Taylor Coleridge's 1792 poem, "Kubla Khan"; to the Bronte Sisters; to 1890's The Picture of Dorian Gray, by Oscar Wilde. Taking up from there, Volume 3 goes from Joseph Conrad's Heart of Darkness, to Hemingway, to David Foster Wallace's Infinite Jest. These volumes are very exciting to look at. A great gift for a lucky someone, maybe you.